It takes approximately 140 seconds to get from the bottom to the top of the escalators at the Rosslyn Metro Station. Every morning, I take those escalators on my way to work. On days when I'm not too eager to meet the 10,000-steps goal on my Fitbit, I take the two-plus-minute ride, listening to an NPR podcast, and marvel at everything I see around me. The colossal size of the station, the morning rush to work, tourists from across the world, bored middle schoolers on their field trips, and musicians playing captivating melodies —it all puts a smile on my face. I'm spending the summer in the Washington, D.C. Metro Area, interning at Ashoka: The Innovators for the Public. Ashoka has been a pioneer in the field of social entrepreneurship and supports a network of over 3,000 social entrepreneurs across the world. These innovators hold the coveted title of being an Ashoka Fellow and work in fields ranging from environmental conservation to civic participation, from human rights to health care, etc. 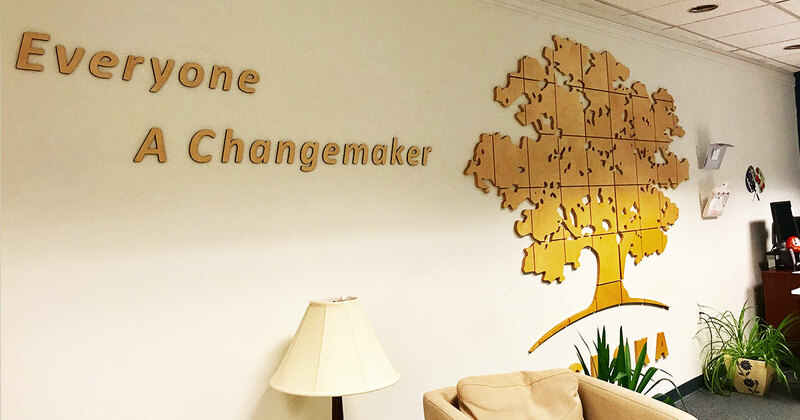 I have the opportunity to work with the Impact Analysis and Evaluation team at Ashoka. The group is currently conducting a study to assess the organization's impact on its Fellows as well as the Fellows’ impacts on their communities. The process of analyzing quantitative as well as qualitative data to measure such impact has been edifying. To be able to apply the lessons learned in the classrooms to real-world cases is giving me a sense of accomplishment and deep gratification. In the coming weeks, I will also have the opportunity to network with and interview various Fellows and learn more about their work. As someone passionate about international development, it will be an incredible learning experience to understand first-hand how everyday people use innovative ideas and techniques to tackle some of the gravest issues of our times. Be it the five-year-old who started a non-profit to deal with food insecurity in his neighborhood or the monk who trained rats to detect landmines and tuberculosis in Africa, Ashoka has already provided me insights into the lives and work of some amazing individuals. My goal for the summer has been to learn something new every day, and so far, I have been able to meet and exceed that expectation. Being in the D.C. area has also been a perk with all its amenities, events, and liveliness. All in all, it's looking to be a promising summer and I can't wait to see where it goes.